Munch, munch, munch. That’s the sound of your humble TV critic eating his words. 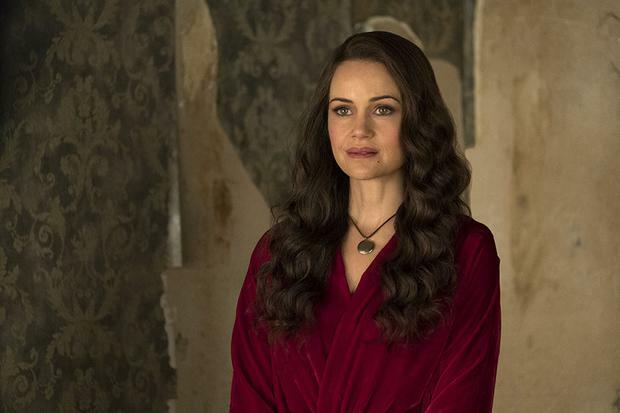 I expressed reservations in a column last week about the wisdom of spinning Shirley Jackson’s seminal 1959 novel The Haunting of Hill House, previously filmed twice, into a 10-part series. I’m delighted to say I couldn’t have been more wrong. The Haunting of Hill House is superb. It’s not Jackson’s Hill House; it’s producer/writer/director Mike Flanagan’s Hill House, but I suspect the late author would approve. Flanagan, who has built his reputation with a string of smart, scary horror movies, has taken Jackson’s title, setting and character names – though not her characters – and used them as a springboard for a wholly new tale, set in two timelines more than 20 years apart. It works as both a genuinely frightening horror story and a complex, deeply moving drama about a fractured and traumatised family. Horror fans and those who prefer drama to be rooted in everyday emotional realism will come away from it equally satisfied. 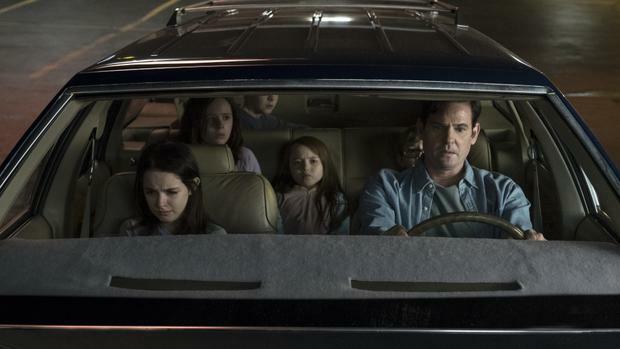 In 1992, Hugh and Olivia Crain (Henry Thomas and Carla Gugino) move temporarily into an old mansion, Hill House, along with their five children. In descending order of age, they’re Steven (Paxton Singleton), Shirley (Lulu Wilson), Theodora, known as “Theo” (Mckenna Grace), and adorable non-identical twins Nell (Violet McGraw) and Luke (Julian Hillard). The couple plan to “flip” Hill House – remodel it then sell it at a big profit and build their dream home. Almost immediately, the dream turns into a nightmare. Dogs bark in the night even though there are no dogs on the estate. Creepy noises come from behind the locked doors of supposedly empty rooms. There’s deafening pounding on the walls. itions. The twins are particularly badly affected. Nell is visited nightly by what she calls “the bent-neck woman”, a spectre whose head lolls at a horribly unnatural angle. Luke is stalked by a gaunt, grotesquely tall man who glides around a few inches off the floor, his walking stick tapping relentlessly. Within a month, Hugh will flee the house, taking the children with him, but leaving behind Olivia, who has been behaving erratically but now seems to have crumbled into insanity, behind. 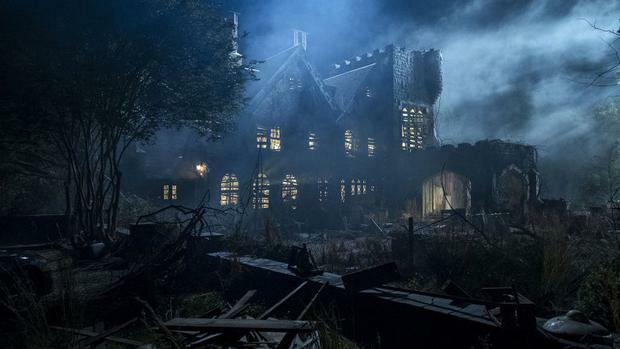 As pure, hair-prickling horror, The Haunting of Hill House is terrifically effective, but this is only the half of it. The real brilliance lies in its construction, which is a thing of wonder. Shifting between past and present, filling in the traumatic events as it goes along, it shows us how the haunting has reached beyond the house, beyond the years, and followed the Crain siblings into adulthood, with devastating consequences for all of them. 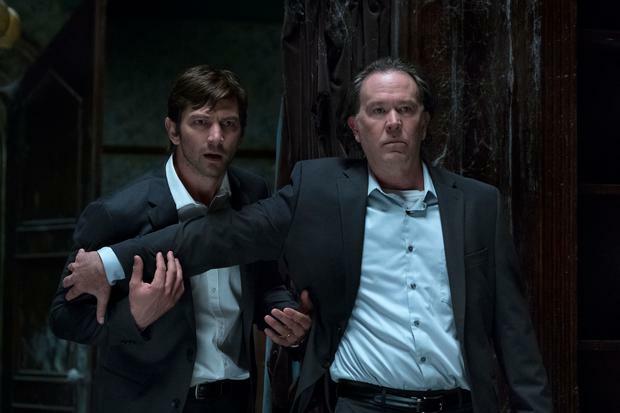 Steven (now played by Michiel Huisman), a sceptic who didn’t witness any apparitions and believes the family are prone to mental illness, is a famous horror writer whose book about the haunting has shattered the family into fragments. Shirley (Elizabeth Reaser) has become an emotionally closed-off control freak who uses her undertaking business to cope with her feelings about death. Theo (Katy Siegel) is a psychologist who has trust issues and a hedonistic streak. Nell (Victoria Pedretti) has never truly recovered from the haunting and suffers sleep paralysis. Luke (Oliver Jackson-Cohen) is a drug addict. They’re all estranged to some degree from their father, played in these segments by Timothy Hutton, who knows more about Hill House than he has ever told them. The family are brought together again by tragedy, forcing them to confront the past and their tangled jealousies and resentments. Flanagan has made something extraordinary: a horror story that sustains the tension for 10 hours without flagging, yet is a compelling, believable human drama. There has never been anything like it.